It's officially November and that means it's time to get ready for Thanksgiving! 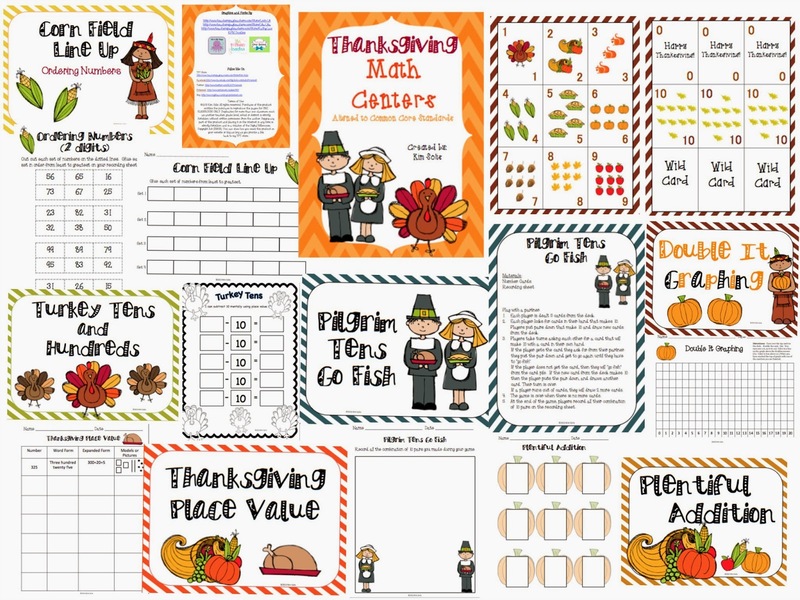 I just posted my new Thanksgiving Themed Math Centers in my TpT store! Also included in this Math Centers Pack are Thanksgiving Themed Number Cards that are used with 5 of the 6 centers. The great thing about using the number cards is that your students can visit these centers multiple times and each time they will work with different numbers! 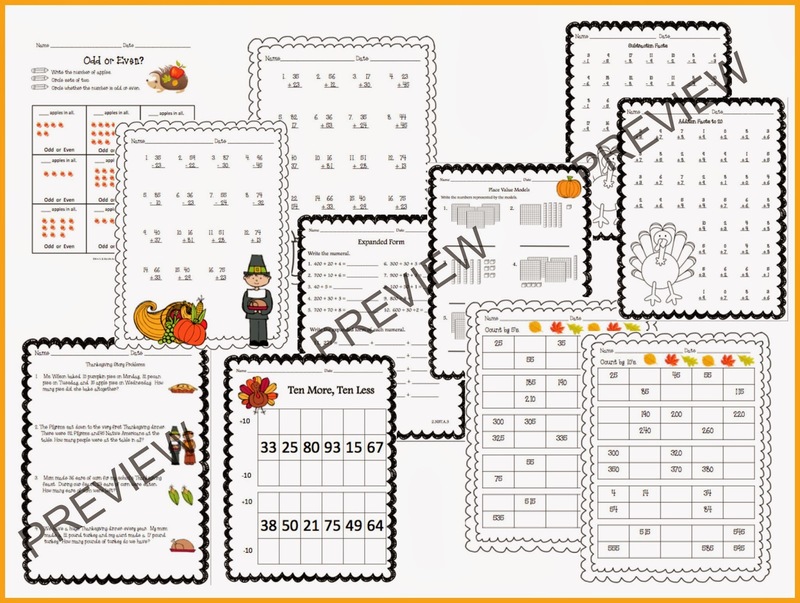 Of course, these centers could also be used in 1st or 3rd grade depending on your students. :) I'm planning on getting these started in my classroom this week! I also have my Thanksgiving Math Worksheets Pack available in my TpT store. You can check them out here. thank you for posting these, they will be great for my niece who homeschooled!